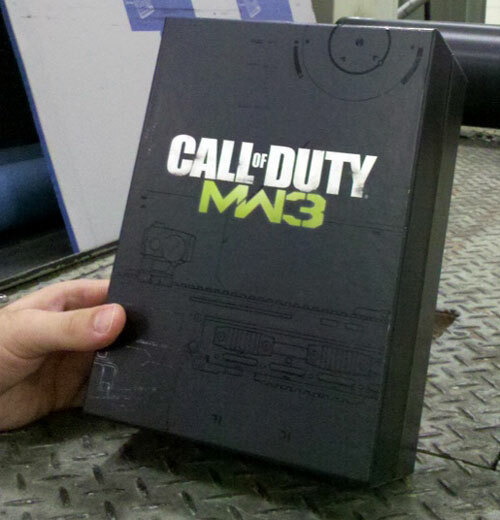 Here's the first look at the Call of Duty: Modern Warfare 3 Hardened Edition, posted up by Infinity Ward's Robert Bowling. We will know more about the Hardened and Prestige Editions at the Call of Duty XP event, which takes place between 2nd and 3rd of September. The contents of both editions are unknown, but they usually come with nice bonuses, with the Prestige Edition featuring something special, like Night Vision Goggles. The Hardened Edition usually costs $80, while the Prestige Edition is $150.